Earlier this week I posted a review of the Confetti 4-piece Mixing Bowl Set that I got to review from Zak Designs! I wanted to make sure that I took some time to show how great these bowls look in use! This set is a perfect addition to your kitchen for Memorial Day, Fourth of July, Labor Day, and every day use. The set includes four bowls: a 4.4 quart bowl, a 2.5 quart bowl, a 1.25 quart bowl, and a 18 ounce bowl in red, white, and blue. I love the sizes of these bowls, how lightweight they are, and how sturdy they are! They are BPA free and made of Melamine Plastic, they are also dishwasher safe! 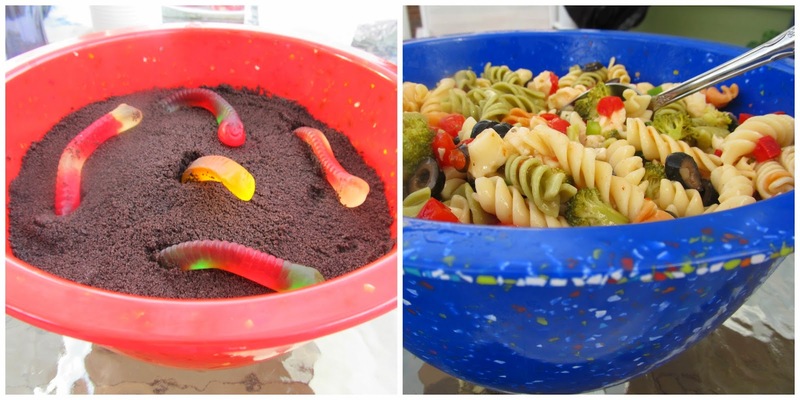 Here is some info on how I used these bowls for our Memorial Day barbecue! We used the smallest bowl (1.25 quarts) to serve french onion dip. It was the perfect size to fit on our chip plate and large enough to hold a lot of dip so that we didn't have to keep refilling it! 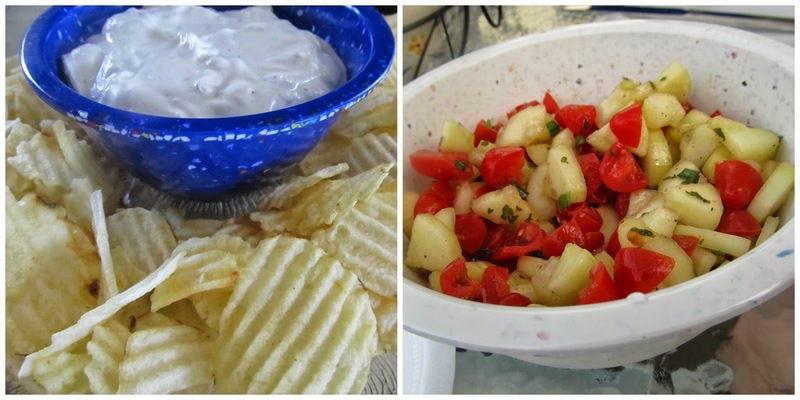 We used the 1.25 quart bowl to hold the cucumber and tomato salad that I made. It was large enough to hold the entire batch that I made and small enough that it didn't take up too much room on the table. The next sized bowl (2.5 quart) I used for my "dirt pudding" that I make for every Memorial Day barbecue! The largest bowl (4.4 quart) I used for my famous pasta salad. Every year I have to buy a metal tin to bring this in because I don't have any bowls large enough to fit an entire batch. I was so excited that this bowl fit all of it!My family kept complimenting on how beautiful these bowls were and I loved the way that the food popped against the colors of them! My grandmother kept commenting on how lightweight they were and how strong the material they are made out of seemed. The best part of these bowls? After cleanup We washed the bowls, stacked them up, and I carried them home stacked instead of four separate bowls. I will absolutely be using these all summer for barbecues and parties!